If feeling a few butterflies during pre-game is a 2, and having a full-blown panic attack is a 10, Kevin Love must have felt a solid 8 as he hit the send button. 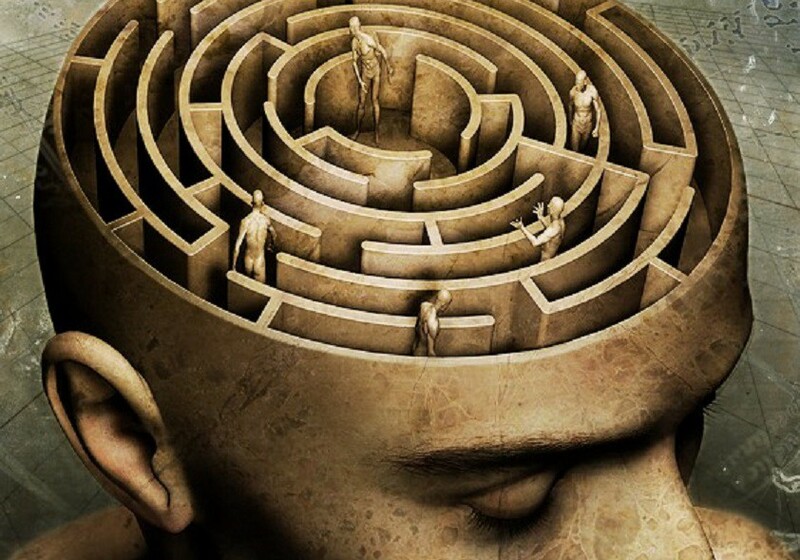 Can we deal with a mental illness, and still be good? As Kevin was to find out, the answer is almost as surprising as the number of people who are wrestling with the same question. It’s a question I hear often, because of where and with whom I work — a job that occasionally brings me into the quiet corners of locker rooms, or storage closets, or the back seats of private cars, as guys who are heroes to millions break down in tears like the rest of us mere mortals. It goes something like this: Deep in middle America. Deep in the middle of the season. Deep inside the bowels of a stadium. 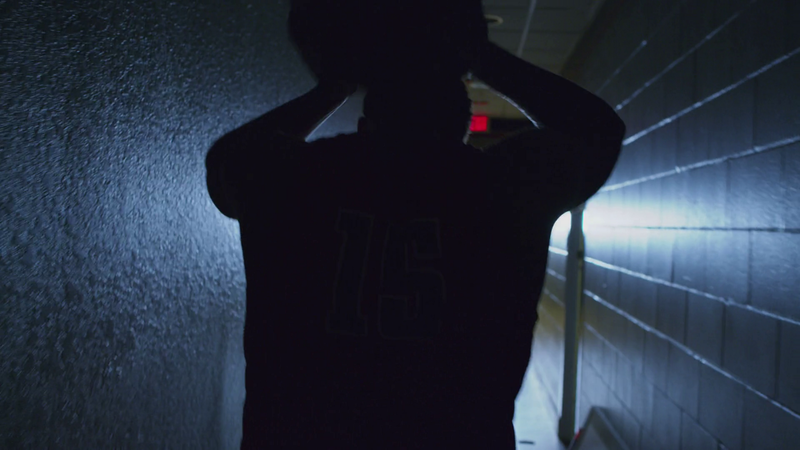 It’s bright & sunny outside, and the lights that come on at game time will be even brighter — but it’s usually dark and cool in the locker room. The specific details of the room make it feel unique: the walls painted home-team-blue/red/green; the fridge proudly showing the local beers next to the ubiquitous Official Beer of the League; little knick-knacks repping the city’s other sports teams on the shelf below the gametime run sheet. You gotta have that game-face on, every single freakin day — no matter what’s been going on inside. On any particular day, few people on the inside may know that one of their best players had to go to hospital overnight. Or that a few days earlier he had a panic attack in another city, with an erratic heart beat and shortness of breath. He and I might connect in the trainers room as soon as he arrives at the stadium, and then quietly slip into the storage closet — the only space available to talk in relative privacy. If there’s a clubhouse attendant working in there, he’ll step out quietly, reading the play like a seasoned pro and leaving us alone. The panicked player speaks with no facial expression, no tone in his voice, eyes down. This is what always happens — the calm before the storm, like the receding waters before the tsunami hits. Within minutes though, the tears fall down his cheeks again. He continues talking, and the crying continues without even a sob. He talks about being scared. About guilt. About helplessness. About the feelings he can’t describe, can’t understand, and definitely can’t shake. Eventually the tear ducts dry up, and we begin talking about a plan of action. We talk about how we will handle it when he isn’t in uniform. How we will work training around him. How we will do some exercises — when he is ready — to make sure his talent can emerge without these intrusive, unwelcome thoughts or feelings getting in the way. This is his confession, his acceptance of a new set of rules he was blissfully unaware of up to this point. He’s realizing, often for the first time, that every player has to win two games to be great: an outer game and an inner game. The outer game is the one everyone pays to see. It’s played against an external opponent, to overcome external challenges, and to reach an external aim. The best way to win this particular game is fodder for many TV shows, blogs and sports bar arguments — and there are plenty of gurus with the answer about how so-and-so should execute their idea of the right play, at the right time, with their arm at just the right angle. For some reason, though, even the best of us humans find these things easier to talk or argue about than to actually do. That’s because the status of being really good in the playing of any game, or the execution of any skill, can’t happen without winning the inner game first. This is the game that takes place inside the performer, where no one can see. It’s played against internal opponents — like anxiety, arrogance, ambivalence and anger. In other words it’s played against all our natural human tendencies, most of which tend to inhibit what we want when it really counts: excellent execution, in every environment, every time. Most days, these internal opponents play at levels that we have gotten used to, and have tried and tested tactics that we know help us win more often than not. But occasionally they surprise us — it’s almost like they discovered some cheat codes overnight, and are now unstoppable. It’s often not the obvious things that you think would bring elite performers to their knees — whether it be athletes, actors, soldiers or surgeons — rendering their seemingly god-like talents impotent. Their skills under pressure are honed to the nth degree. Their ability to handle big decisions in split seconds is constantly improving. Their recovery is paramount now that we know the effects of sleep. But more and more research is showing that brain chemistry, and the things we can do to impact it, are some of the best predictors of elite performance — on the field, in the classroom, in life in general. The hormones of high performance. 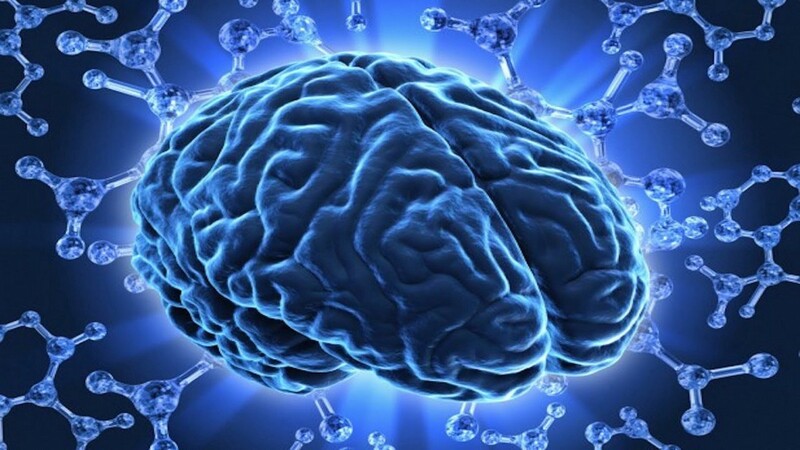 Brain based hormones — specifically ones like serotonin (associated with confidence, obsession & depression), dopamine (motivation, pleasure & pain) & norepinepherine (alertness, engagement & energy) — are the basic currencies of great performances. Without these, the most valuable talents become poor replicas. Studies from Steve Maier that suggest that a certain area of the brain (the DRN) in the middle of the brainstem is linked to the type of passivity that’s associated with depression and anxiety when it’s overactivated. When the DRN is inactivated experimentally, rats don’t become helpless or give up, even when shocked (which normally does the trick). Other studies also show another area (the VMPFC) in the bottom of the frontal lobe can selectively inhibit the DRN, effectively warding off depression and giving hope — indeed, the founder of the positive psychology movement, Martin Seligman, referred to the connection between the VMPFC and the DRN as the Hope Circuit. This circuit is where most successful coaching & performance psychology interventions make their mark, and those therapeutic approaches work perfectly fine — up to a point. Some cases are more extreme, though, and benefit immensely from medication designed to increase freely available reserves of those high performance hormones. If that’s all a little complicated, think of it like this: it would be like using an anti-inflammatory to decrease the body’s overactive response to a soft tissue injury. This provides a stable foundation to build from more quickly, allowing the therapy and physical rehab to work optimally earlier than it might otherwise have been possible. Or, to put it in a tweet length grab: it’s about getting the right mix of brain fuel in the tank, so the performer can get back to their peak powers quicker. 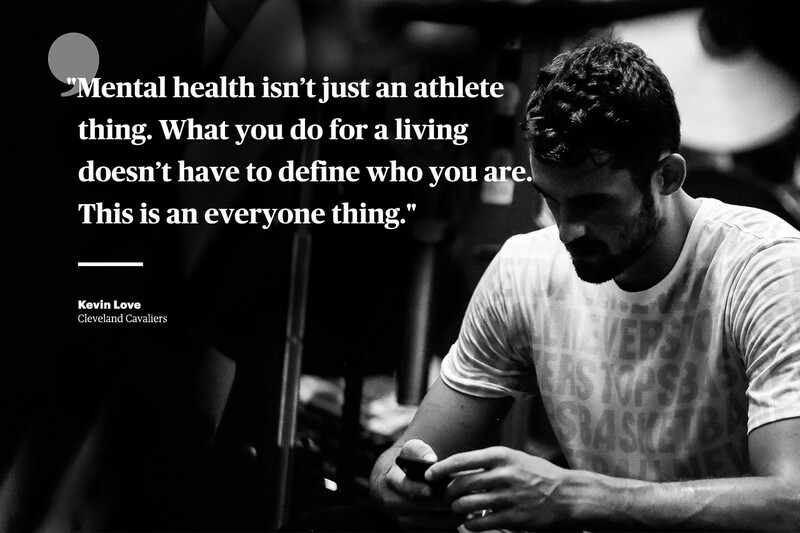 Kevin Love credits fellow NBA star DeMar DeRozan for inspiring him to be brave and share his pain. DeRozan got it rolling at a press conference ealier in the week; Love says he just picked up the ball and ran with it. But there have been plenty of assists along the way, from elite performers both in and out of the sporting arena. Olympic champions Michael Phelps & Allison Schmitt. NFL veteran Brandon Marshall. MLB All-Star Roberto Osuna. Grand Slam winner Serena Williams. Box office superstars like Jackie Chan, Emma Stone & Kristen Bell. World famous comedians Sarah Silverman & Jim Carrey (who’s openness about it also helped Trevor Noah). Musicians like Kid Cudi, Zayn Malik, & Beyonce, who in turn helped Adele. Multi-threat talents like Demi Lovato, The Rock & Gwyneth Paltrow. Legendary author JK Rowling. Even A-list celebrities like Prince Harry & Kendall Jenner. All of them have admitted to battles with anxiety, depression and other mental illnesses along their path to the top of the world. Some have used counselling; others medication; most of them mentioned both. The common thread? Only that we know their names (because they are pretty good at something we like enough to care), and that they are human. Otherwise there is no theme: female or male, old or young, black or white (or anywhere in between), athlete or singer or royal or actor or [insert your own occupation here]. Having heroes open up to help make this normal is probably the most important part of all of this. So thankyou, DeMar. Thankyou, Kevin. And thankyou to everyone else who speaks out in an attempt to improve the support available for others fighting the same opponent. By shining a light on the dark places behind the scenes, these heroes have allowed people to see what really goes on. They have highlighted the fact that each player in the game of life has their own opponent to overcome. It’s an opponent we all face, and one that won’t always be done when the buzzer sounds, or when the lights go off and everyone else goes home. The inner game is harder for some than it is for others, but the battle goes on for every one of us daily. For those with particularly strong inner opponents, it never gets easy — but it’s definitely easier when you have heroes on your side. If you’re currently struggling please call the suicide prevention hotline in the USA (800 — 273 — 8255) — confidential, helpful, and always available. Paddy Steinfort is a performance coach — with experience as a former player at the professional level — who’s worked for NFL, MLB, Olympic & International teams on the mental side of the game, helping improve wellbeing & performance. He’s currently with the Philadelphia 76ers in the NBA, doing just that.